Healthy Lifestyles–Marshfield Area Coalition began in 2001, to address healthy eating and active living in and around Marshfield. Increasing physical activity is a coalition priority and essential to a healthy lifestyle. Walking is fun and easy to do for the whole family. 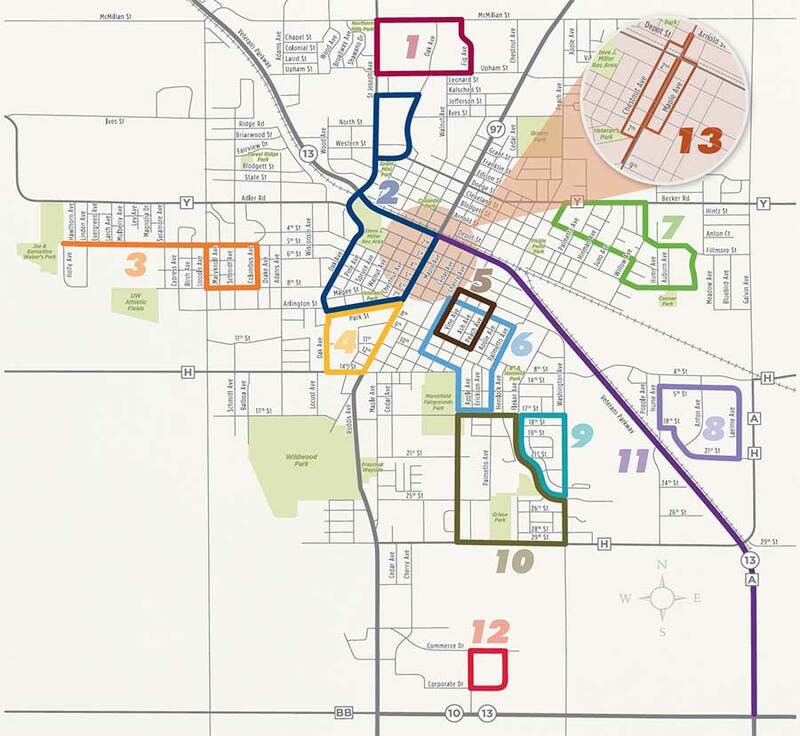 Thirteen walking paths have been measured and mapped throughout the city. The distance for each path ranges from less than one mile to 3.5 miles. Paths have been marked with the Healthy Lifestyles Coalition’s red apple icon on the sidewalks. Find the 2.4 mile Downtown Apple Walking Path in area #13!